Lois WaldenLois Walden is an American writer, singer, songwriter, librettist, record producer, performer, and teaching artist. 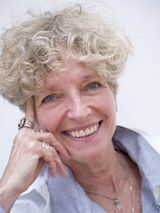 The author of the novels One More Stop (Arcadia, 2010), and Afterworld (Arcadia, 2013), Lois Walden worked as a television writer in Hollywood with many major artists including Dionne Warwick, and Jane Fonda. As founder of the gospel group, The Sisters of Glory, she performed at Woodstock ’94 and at the Vatican for the Pope. She co-produced the group’s critically acclaimed album, Good News in Hard Times, for Warner Bros., as well as writing and co-producing her solo album, Traveller. She was the lyricist for American Dreams Lost and Found, based on the book by Studs Terkel. Her life and music have been profiled on CBS Sunday Morning and Good Morning America. Her debut novel, One More Stop was a Lambda Literary Awards finalist and a Waterstones New Voices finalist. For the past 15 years Lois has travelled America for The Acting Company teaching teenagers in small towns and inner city schools how to tap into their emotions and understand their world through classic theatre and literature. She is currently co-writing the libretto for the Buddhist opera Mila, Great Sorcerer, and working on her third novel, Beyond Expectation.